Farm club members participating in planting trees to conserve the environment. Mr George, Wildlife Club Patron. We have finally started the wildlife club in our school. Currently there is ongoing registration whereby each student is to become a member and with the help of Dr Lucy’s Save the Elephants Team who agreed to sponsor the school for a trip, then each child is to pay 50 Kenyan Shillings. Until now we were targeting the whole school in order for them to get the park cards, but only approximately 20 have paid so far. So in conjunction to this we were requesting if maybe the foundation could In some way help for the most needy students. Also today we requested them to come with a seedling each in order for them to plant each a tree and take Care of them daily with the help of the Wildlife Club. To this we shall have a planting session tomorrow. 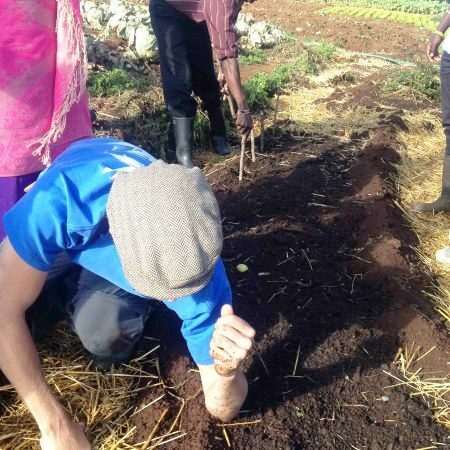 Myself at the permaculture course – getting my hands dirty! How about growing food in an organic manner, caring for the environment, sustainably feeding school kids, and equipping local farmers to put more food on their tables? Kileva Eastfield Primary School permaculture garden was initiated by the Kileva Foundation and the Elephants and Bees Project in late 2015. The farm was initially a research field testing the potential growth of some of the non-palatable crops to elephants. Class work: coming up with designs and suggestions on crops to grow at Brackenhurst school garden. 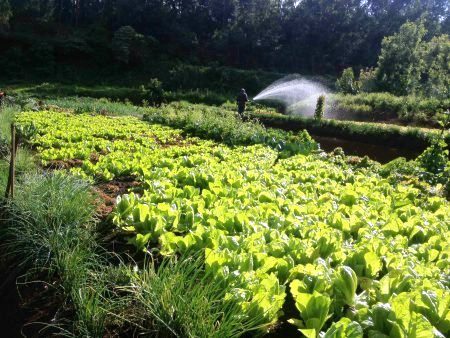 Later on, after the realization of its potential in food production, the project extended the small farm into growing vegetables, fruits, and even employing two community members (Paul and Jacinta) to work in the farm. The farm has occasionally fed the school kids, especially the young ones in the Kileva kindergarten and at times the entire school. There was a need to come up with plans to feed more mouths more frequently. 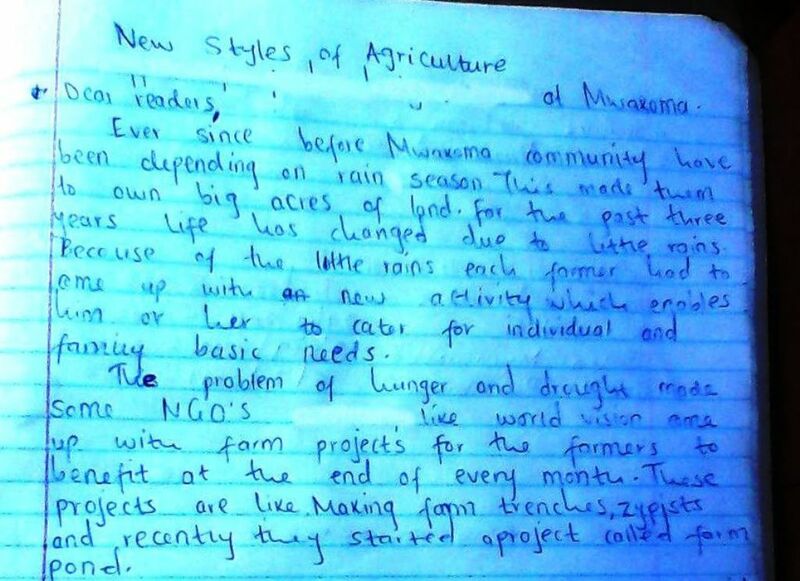 This required gaining more skills and knowledge into the world of farming. 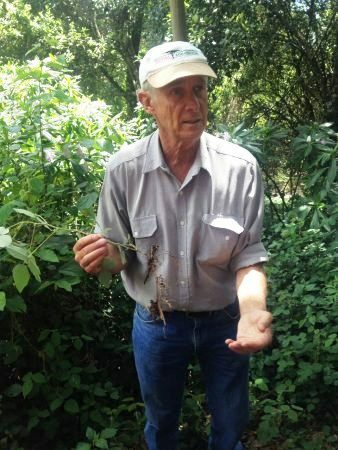 Mark Nicholson holding Desmodium incanum, a nitrogen fixing plant in the forest. 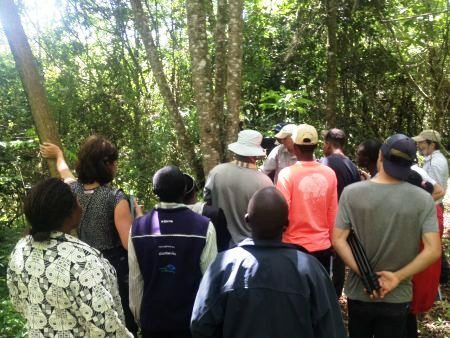 To gain these skills, The Elephants and Bees Project enabled me to attend a practical permaculture workshop hosted by Barefoot Soulutions at Bruckenhurst hotel in Limuru. The workshop began on 25th November to 1st December 2017. 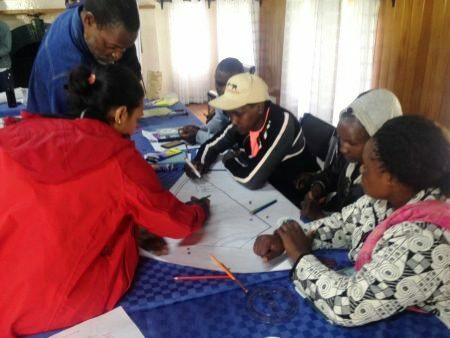 We were a group of fifteen trainees and three instructors (Sven, Mike and Tichafa the permaculture guru from Zimbabwe) – our first class begun where we were divided in to groups of two and told to introduce yourself to your partner and your partner introduces you to the class. The workshop entailed a lot of lessons and practicals such as: companion cropping, dry land farming, ecological processes, soil regeneration, soil improvement through (compost making, mulching, double digging) erosion control, species selection, Integrated pest management(IPM), home garden designs, natural forest & the conservation zone, various presentations from trainees on before/after maps, plans of action and much more. Our group ‘tea’ planting spinach, lettuce, beetroot, kale, onions on our mandela design. We made field trips to various organizations and farms around. 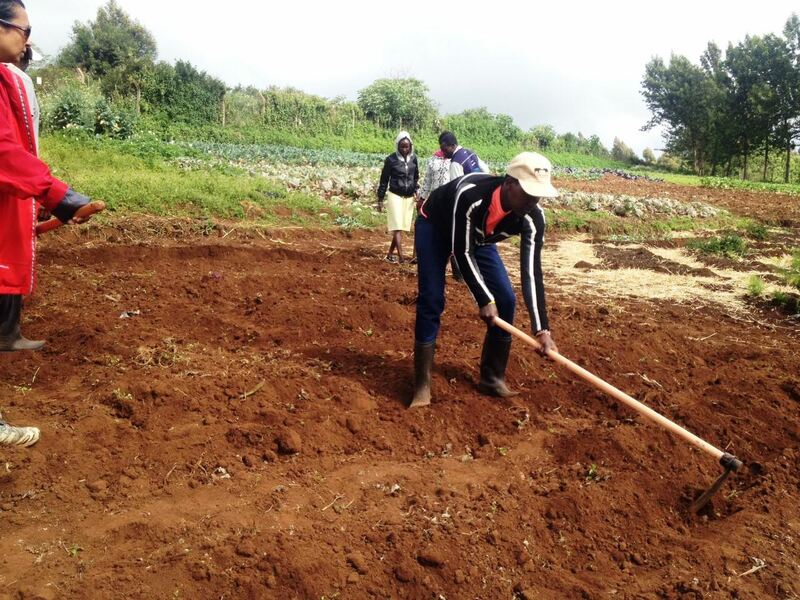 We visited ‘care of creation Kenya’ which is a Christian faith based organization in Limuru empowering farmers to grow crops in Gods perspective and highly discourages violent farming. The organization uses two set-ups (Farming Gods Way FGW and Conventional Farming CF). FGW involves mulching the field which comes with other benefits while CF involves normal farming without mulch. 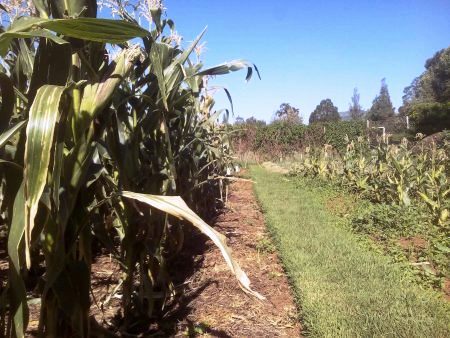 Five different Crops are grown in plots size of 9m by 4.5m for the experiments, FGW plots produce significantly greater yields compared to conventional traditional plots. All the plots are given equal treatments; the same planting date, crop variety, spacing, planting depth, receiving equal amount of external input and rainfall yet all Gods way plots produce higher yield than conventional farming. From previous harvest onion yield from FGW plot was 5 times more than conventional plots onions, maize 3 times more and potatoes 4 times more. When mulching there’s more life in soil, minimal disturbance of soil because mulch prevents weeds, retains water, prevents erosion and holds the soil structure. 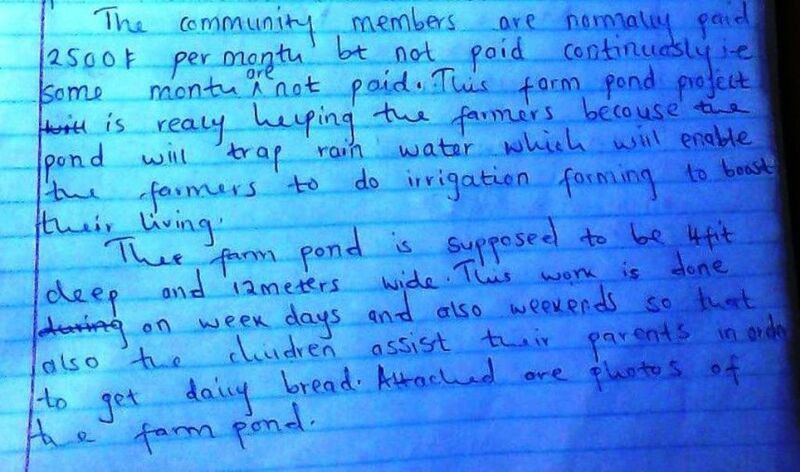 Crag explained the disadvantages of leaving the ground bare; violent farming and clearing of vegetation cover for inappropriate farming with poor yield. Giving an example of plastic that is dropped at the start of the Tana river and finds its way in to the ocean in 3 days, compared to when it took 3 weeks in previous years, due to dense vegetation cover. A comparison between 2 on-site plots. Both planted on the same day and given equal treatments in all aspects. Further experiments were done on the two FGW plots which are covered with mulch and CF plots which are bare and exposed. 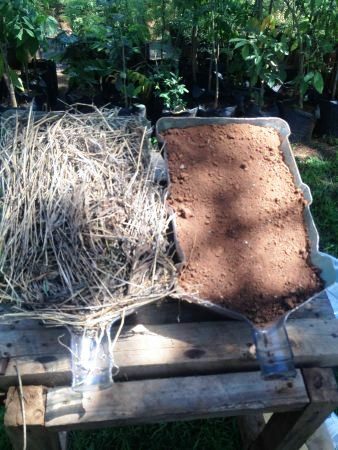 The first experiment was on water retention; it involved scooping the same amount of soil from both plots in a trough container and pouring in water. The CF soil sample lost water after pouring in one and a half cups of water causing run-off whilST FGW PLOTS retained water up to four and a half times better than CF. Experiments on soil structure and soil erosion were also done and Gods way soil structure was maintained while convention broke up so easily. When examining soil erosion through run-off water samples, the runoff from Gods way soils remained clean while runoff from conventional way soils was very dirty (washed away). We also visited Mlango farm which is a privately owned farm, a living paradise full of ripe fruits and vegetables of every kind. It is a living Garden of Eden where people go learn, rest and enjoy the peaceful rural environment under the warm African atmosphere. Mango farm, a small section planted with lettuce, spinach and use of onion as a boundary crop and keeping away pest. After various lessons in class and trips it was time to get our hands dirty by going to the field for practicals. 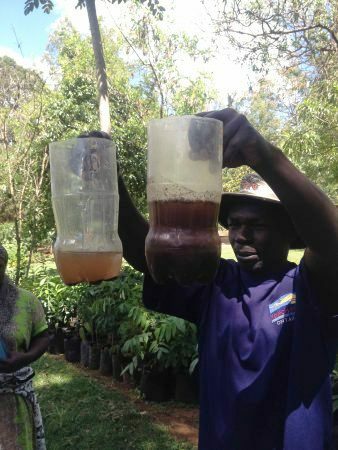 We worked in two different groups, tea and coffee, which are both crops that do well in highland areas and are both the pillars of Kenyan agriculture. 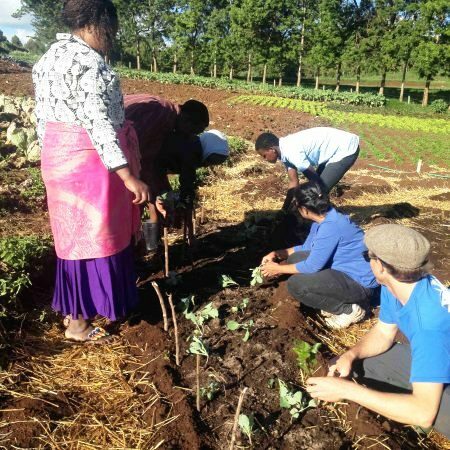 In our first practical we came up with a mandala permaculture design at Bruckenhurst farm and planted different vegetable crops, cover crops, nitrogen fixing crops and fruits. Our second practical was at Mikes farm, one of our instructors, where we learned about different permaculture designs; mandala, kidney shape, and rectangular beds. We planted lettuce, spinach, onions, coffee plants and various other crops using compost and other organic substances like absorber, enhancer and much more. Sample water collected after experiments from both plots (FGW & CF). soil samples of farming god’s way and conventional farming. Next, we took a tour to Bruckenhurst indigenous forest, which is more than ten years old and a true serving model of a totally ecologically restored forest. Mark Nicholson, the director of plants for life at Bruckenhurst botanical garden, began his work on changing the forest into a totally indigenous forest after a realization of almost empty gaps in the forest, invasive species, loss of indigenous biodiversity and loss of indigenous knowledge. The forest was cleared, invasive species uprooted, exotic species replaced and only indigenous trees were planted including critically endangered species, timber trees, curving trees medicinal trees and much more. Various tree species in the forest include; Croton megalocarpus, Prunus africana, Coddia africana, Wabugia ugadensis and Chrysophyllum ngorungosum. Now the forest is full of life with some wildlife species and birds making a comeback to what was originally their home. A trip into Bruckenhurst indigenous forest showing various indigenous trees. Back in Sagalla plans are under way for the school permaculture. First, we will use mulching to conserve moisture, reduce run-off, avoid weeding, and maintain our soil life. 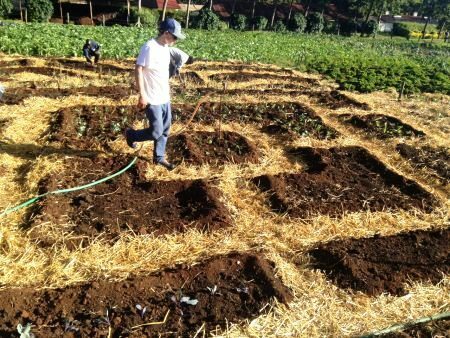 We will use various permaculture techniques such as the use of mandalas for vegetables, key holes on sloppy areas to harvest water, worm farming, companion cropping, and pest control. Through these techniques we are hoping our farm will become a perfect model demonstration site to the local community about crops that can survive in the arid climate of sagalla and have economic and nutritional values. We will also use our permaculture garden as a research field to come up with crops that are non-palatable to elephants. Through all of these things that we have learned, we hope to give a chorus to the win-win solution rhythm. Sven, our instructor, using his forearm to measure space between crops, (distance between crops) for planting different veggies on the farm. The work shop was very educational, with awesome trips, delicious meals, nice accommodation, good friends and YES!! Permaculture is the way forward for creating food security with the help of fellow gardeners, living systems and appreciation to the environment. The only reason for human wildlife conflict is because of greed. People are greedy doing things violently, chopping trees for land, violent farming, disrupting the soil, fighting against nature instead of working with nature, resulting to low yields and need for more land. The only solution is PERMACULTURE!!! Get your hands dirty!!! Many thanks to Barefoot Solutions for such a productive, informative and inspiring week learning all things permaculture – we look forward to producing results in our own shamba at Kileva Eastfield School! As many of you may already know, Margaret, our Operations Director in Kenya, is currently undertaking a Bachelor of Education course at the Pwani University in Kilifi (click HERE for more info).